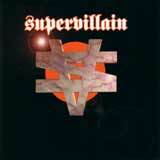 Supervillian is an unsigned metal band from New York, but I suspect that will change in the new future. This 5 track EP is the band's first recording, and they are currently in the process of recording a full length album. If this EP is any indication of the path that Supervillian will follow on the upcoming album, they are bound to draw some attention from well beyond New York City. Supervillain mixes Ozzy era Black Sabbath, sleaze metal, and classic heavy metal, coming up with a sound that is fresh and interesting. Influences such as Led Zeppelin (especially with the vocals) are also evident. This gives the band's sound a distinct retro feel, but the up to date production gives the music a modern feel and ensures that the music does not sound dated. The five songs themselves are mid paced metal anthems, yet they all hit you like a brick wall. Vocalist Morgan Adams is arguably the biggest selling point for Supervillain. His voice is raspy, powerful, and he delivers with great passion for his music. As a result, he is able to add a lot of character to the songs, giving them a huge, ballsy presence. Of all the demos and self financed releases I've heard, I'd have to say that weak lead vocals are the most common complaint I have. Well, Supervillain have found a gem of a singer in Adams, his voice is absolutely a cut above the crowd. The rhythm section is another bright spot for this band. There is a heavy bass presence that gives the music a full-bodied sound and the drum work is diverse and aggressive throughout. Supervillain also deliver some heavy riff work and lead rhythms that will take you back to the glory days of the 70's and 80's. Simply put, I can't find a weak link in Supervillain's sound! Supervillain have managed to come up with a sound that has obvious influences from the sounds of yesteryear, but they have executed their music in such a way that makes them sound fresh and very up to date. If you like a little doom and sleaze mixed in with you good ole fashioned heavy metal, check these guys out.